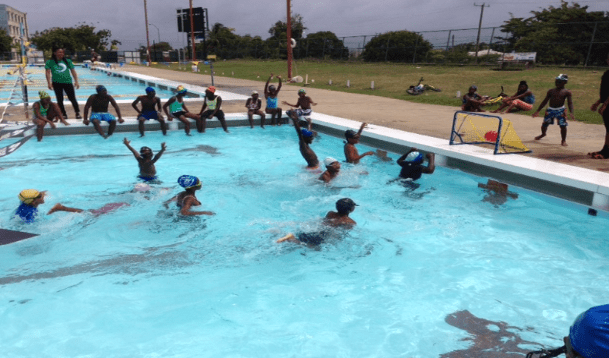 Development Of National Sport Structure In Water Polo – Barbados Olympic Association Inc.
Coach Laszlo Hruza at poolside. The second section of the Development of National Sport Structure program in water polo has started. 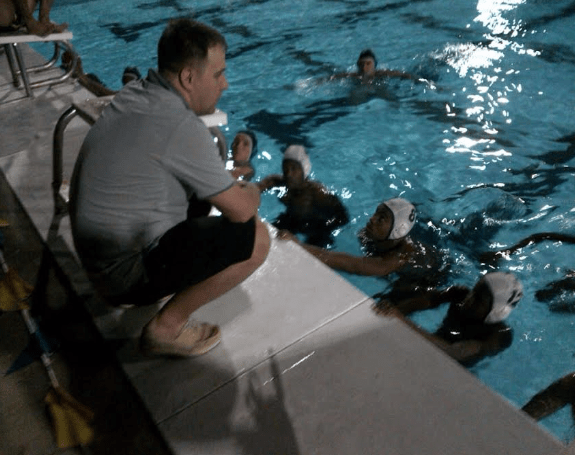 This program is under the leadership of Coach Laszlo Hruza and will continue until the end of November. Mr Hruza is very pleased with the progress achieved in the program so far, with many new players showing enthusiasm and interest in the sport. The players are practising daily and have scheduled games on Saturday afternoons. Among the highlights of the program is the formation of a Women’s Team which also practices with the men’s team. The program is assisted by Ms Natalie Parris. Part one of the programme started in June and continued through the summer vacation until the end of August. One of the highpoints of the summer program was the exposure of a number of summer camp junior participants to the basic skills of the game. NSC Summer campers engaged in the basic rudiments of the game.